As the new worldwide 24/7 Bitcoin and Blockchain news source, Bitcoin News’ objective is to educate the general public about the latest media reports, policy changes, occurrences and technological advancements within the cryptocurrency industry. BitcoinNews.com strives to be a provider of unbiased cryptocurrency news as well as a social hub for the crypto community to gather and participate in crucial conversations. Bitcoin News’ ultimate goal is to mind the gap between the mainstream and the ever-expanding cryptocurrency community worldwide. BitcoinNews.com is an independent company that is not sponsored, owned or otherwise influenced by any company or corporation with investment biases such as stakes in certain blockchain projects. Bitcoin News works independently and is not managed or controlled by any central company and can thus obtain freedom from influences and editorial restrictions. BitcoinNews.com’s objective is to provide fair, unbiased, transparent, accurate and sensible media reports regardless of how the news is originally obtained. Bitcoin News does its utmost to review its sources. Bitcoin News takes a neutral stance and provides news with integrity in accordance with the Journalist’s Creed. It is Bitcoin News’ belief that journalism is a public service and the very backbone of a democratic society. Full-time and freelance writers and editorial staff are obliged to reveal any personal investments and assets that may impact their ability to follow the ethical journalistic protocol under which Bitcoin News operates. Sponsored articles and press releases published on the website are always transparent and Bitcoin News does not accept payments to publish certain angled articles that are not clearly categorized as advertisement. Neither does Bitcoin News take any profits from specific cryptocurrency projects such as ICOs to report specifically about the said cryptocurrency or project. 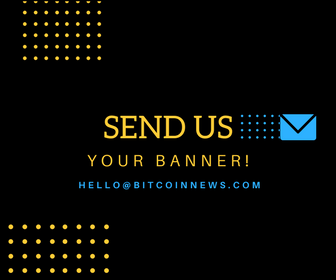 Bitcoin News’ revenue model includes payments for banner advertisement, press releases, sponsored articles and donations. Other sources of revenue may include events and social media exposure. Bitcoin News does not earn profit from general news sources or projects featured on the news sites in any category not clearly marked as Advertisement, Sponsored, or PR. Bitcoin News does accept a variety of cryptocurrencies for its products and services. No team member is limited from buying, using, investing or working on digital currency projects as long as these are fully disclosed.